Choose either a twisted spiral with six bells or a ring with three bells. 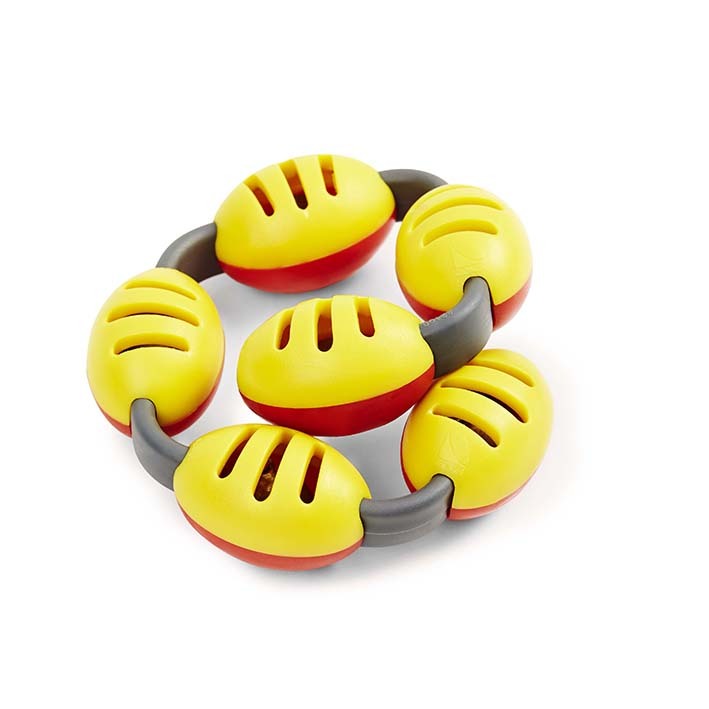 The Body Bells consist of strong plastic shells containing bells, linked by rigid rubber joints. The colourful Body Bells attract attention and are easily placed on body parts such as the arms, legs, head or shoulders. The main purpose of the Body Bells is for children to learn to move without making the bells ring. 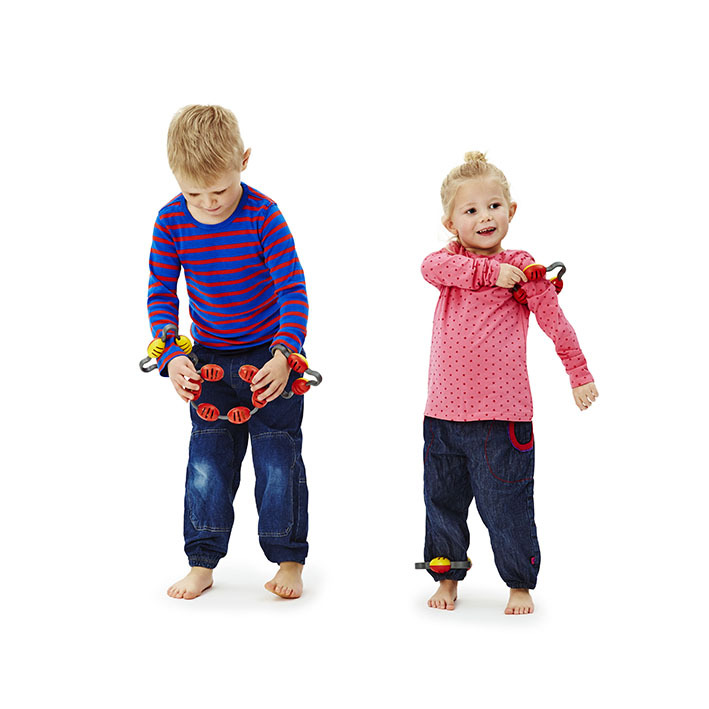 This requires slow movements and a strong focus on body control, which stimulates the development of the proprioceptive sense and strengthens active children’s ability to concentrate. Body Bells may also be used for other purposes by all ages, such as rhythmic and musical activities. The ring version, with three bells, can easily be pulled onto the arms or legs, while the flexibility of the six-bell twist version allows it to be placed on the head, shoulders or other larger parts of the body.